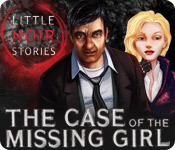 Little Noir Stories: The Case of the Missing Girl is rated 3.4 out of 5 by 9. Rated 5 out of 5 by Knginatl from Fun Game! I really liked this game. You alternate between two characters, and sometimes play both at once. The game does a really good job of reusing the same areas over and over in a way that keeps them interesting. I was a little confused by the story, but it was nonetheless entertaining. Rated 5 out of 5 by GoneFishing from An excellent interactive novel This game is not a traditional HOG. Maybe if you choose to play it in 'classic mode' it is but in 'novel mode' it runs like a novel with graphics and interaction and participation. If I were a critic, I could find some faults, but I am not. I am a power consumer of innovative products and I loved this kind of product so much that I thought I should praise it so that even better results are produced in the future. In 'novel mode' the game is not at all 'short' as some seem to complain about. In fact there are even secrets areas some of which can be discovered only with the correct dialogue response, so, as I missed some, I will even be replaying it, something I never have thought of doing with any other HOG. I suggest you use 'novel mode' when trying this game out. Rated 4 out of 5 by celticgirl03 from Good detective game If you like the old Gumshoe detective type games then you will like this game. It has that old style feel in the dialog that draws you into the game. The HOS are a little easy, but are still fun. And the variety in the rooms is great. Some of the game play is a little harder at times but not so hard that you spend long periods trying to figure it out. 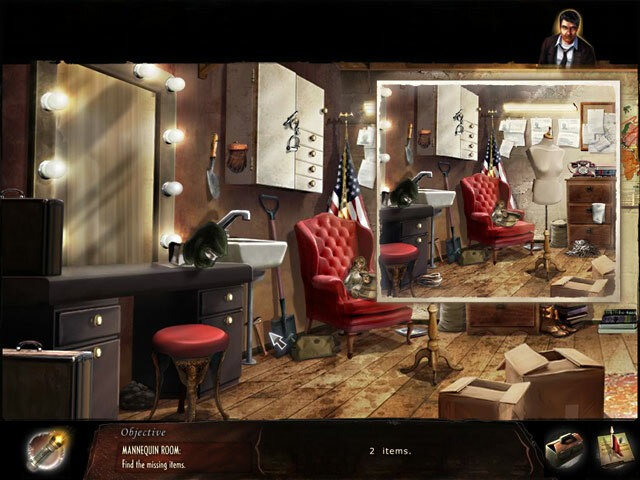 It is a good game for beginners and people that like the old style detective scene. Rated 4 out of 5 by rosekaufmann from SECRET OBJECTIVES; HALF FOR THE BOYS BASICS: Two modes: classic for short, non-interactive conversations; novel for longer interactive conversations, much like a novel. 5 chapters and you can change modes after each chapter. A journal lists your objectives and tasks, provides information about each of the characters and case progress and has an interactive map. Hints will show an item or a text hint and recharges fairly well. Exit the game in process via the map. 3 1/2 hours in novel mode. STORYLINE: Muller and Chandler are private investigators. Someone sent Muller a mysterious photo of a girl in a third story window who appeared to need rescuing. So off they go to rescue her. 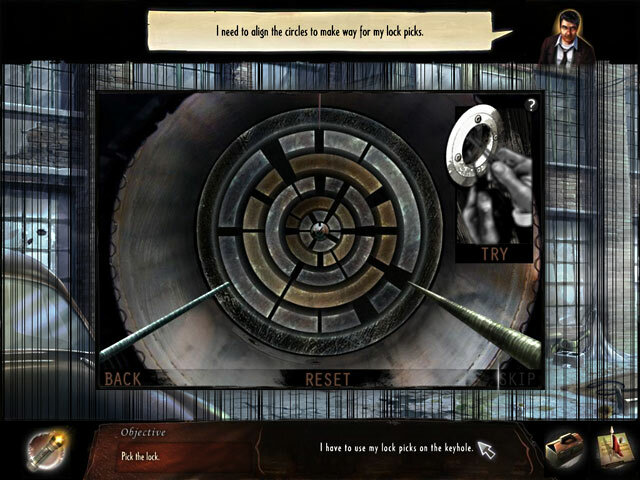 GAMEPLAY: Story, characters and voice overs are reminiscent of some of the 1950’s dramas (think Sam Spade, Perry Mason). Investigate all the areas and residents of the apartment building. In questioning the characters, you can chose how you wish to pursue follow-up questions (aggressive, truth, lie, silence, preachy, friendly). You must choose in a few seconds or the program will assume your response is silence. You have 14 secret objectives to find – once in a while, a secret objective appears on your task list but most of the time you won’t have a clue until your discover one. I only found 7. You play alternately as Muller and Chandler. HOS: are not handled like traditional HOS. You must find either a list of objects (which can be anywhere in the room) or a set number of one object (which can be anywhere in the building). If in a room, you will have to do a close up in different areas of the room to find your objects. It is a quite interesting concept and you should try it since it’s so hard to describe accurately. Puzzles are varied and easy to moderately challenging. Rated 4 out of 5 by amilahani from Good game Graphics are so-so. But, storyline are interesting. Puzzles are fair. I enjoyed it, why not give it a try? Rated 2 out of 5 by Mazeo from Not for me One of the more disappointing games I have played. The story line is silly and the hidden objects too easy. The characters were very uninteresting. I couldn't wait to finish it so I could delete it. Rated 2 out of 5 by Diggingdogs from I wouldn't bother with this one. Don't bother with this game. I was very disappointed with this game. It wasn't challenging at all. Finding the "hidden objects" was a joke and was actually annoying. You have to click on the floating "stars" to get to different areas in order to select the hidden objects which really slowed the game down as well as it constantly pausing to "save your progress". Very slow game and not interesting at all. I just wanted to get through it so I wouldn't feel like I completely wasted my money. Lured to an old building by a puzzling picture, two Private Investigators step in to solve the mystery and find a missing girl!